There’s no doubt about it, the older a woman becomes, the more difficult it is to maintain a long hair style. However, today, women at forty are just getting started. Technology and a conscious lifestyle have reversed the aging process so well that the tired old hair beliefs of yesteryear are no longer appropriate. Mindful women take much better care of themselves today with diet and exercise, that they manifest a youthful and energetic look. Younger styles can be rocked for much longer if the hair is healthy and doesn’t look sautéed and overly environmentally or chemically treated. In a recent study of women over the age of forty five, only sixteen percent of the 2,500 women polled actually described their hair as healthy. 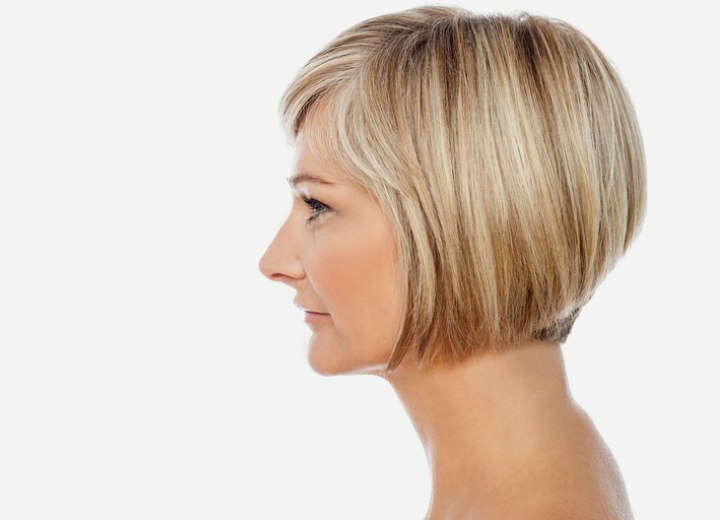 In the first part of this article Haifinder discussed some of the reasons why women opt for shorter hair styles as they get older. Now we want to touch on a few ways to care for aging hair so that you can preserve the health and sustainability and thus are able to keep your lengthier locks for a longer period of time. The biggest challenge for most women is working with hair that all of the sudden seems to be coarse and absent of volume and luster. Science says as you age, the diameter of your hair shaft starts to contract, causing hair strands to be thinner and a reduction in luster and strength. Slight changes in moisture, texture, luster and even over all manageability can ultimately leave one with a head of hair that they can hardly identify as their own. The production of sebum oil declines as one ages and thus causes both the hair and scalp to be drier. The lower level of sebum makes hair feel rougher, look duller and is less manageable. One must handle dry hair as they would dry skin. Most women understand that washing too often strips the natural sebum oil from hair. By alternating between shampoo and dry shampoo you are able to clean an oily scalp without jeopardizing the rest of the hair strands. The less you shampoo, the less oil you will produce. After each shampoo and at least twice a week, a deep conditioning treatment is needed. Then there’s the continuing battle against the non pigmented hairs, which for many women becomes an issue in their forties. A decreased production of melanin (which gives hair its color) is one of the most noticeable hair transformations as we age. If you desire to elegantly go gray, make sure to pick up a shine enhancing shampoo and use it twice a week, they have a slight toner in the cleansers to keep the white looking bright. Non pigmented hair is more vulnerable to Sun/UV damage, so protect it with a UV spray. Certainly, many women elect to color their gray instead and if that is you, select hair color sensibly. As you age, it's more difficult to pull off radiant hues. Intense hair colors tend to look too severe against the paler skin tones. Try an auburn hue in lieu of a bright red. Avoid the drastic black hair color and go with a chestnut tone instead. Stay away from the radical platinum blonde and go with a more golden color. The warmer a tone, the more lenient it is inclined to be. It is essential to stay with in a shade or two of your natural hair color. Another important solution to looking like a mature chic maven instead of a mature woman frantically chasing after her youth is to remember that your cut shouldn’t be ‘young’ it should be refreshing. If you do choose to sport long locks in the latter part of life, the hair cut you have can be the difference between looking regal or ragged. A great cut can even take years off of your age. For lengthier styles to work, one needs to have face framing layers so the cheek bones are highlighted. Haircuts should complement a woman’s bone structure. 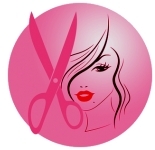 In fact a good hair cut that is layered in the right places can be better than a cosmetic procedure. Layers throughout the hair create movement so hair isn’t just resting flat. An angular side bang does a wonderful job at emphasizing and bringing out the eyes. When styling mature hair you will want to avoid a center part as this creates a look that lacks any volume on the top of the head. Hair should have volume and using hot rollers can help give hair that bodacious bounce we all desire. Stay away from flat ironed and stick straight hair because it displays every imperfection both within the hair (makes thin hair even thinner) and in the facial structure (drags the face down). Mature ladies with dense hair that has been thoroughly conditioned can look absolutely gorgeous with longer hair styles, while despite their youthful age, some young women with very fine hair will not be able to pull off long hair. With an overall more cosmetically aware and concerned society, today’s technology and living a more conscious and mindful lifestyle women aren’t aging at the same rate as their grandmother did and the hair will most likely not age similarly as well. The bottom line is, there’s no grand hair style hand book. Women really can sport any hair length at any age. Whether or not a shorter hair style is best will depend on the individual’s hair texture, thickness, personal preference and physical features. 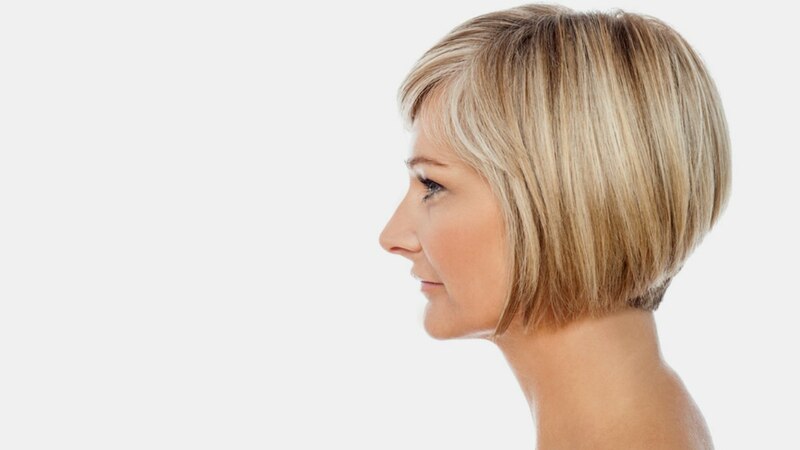 Age should never be a factor when deciding upon hair length. Study the state of your hair. Is it over processed? Is it too thin or absent of gleam? If so, then it’s a safe bet to say that a stint with the shears is needed. When to cut hair into a short style does not depend on your age, but rather the lifestyle you lead and the condition of your hair. If you are over forty and desire to keep your long hair but aren’t sure how to pull it off, take Hairfinder's tips and work it!